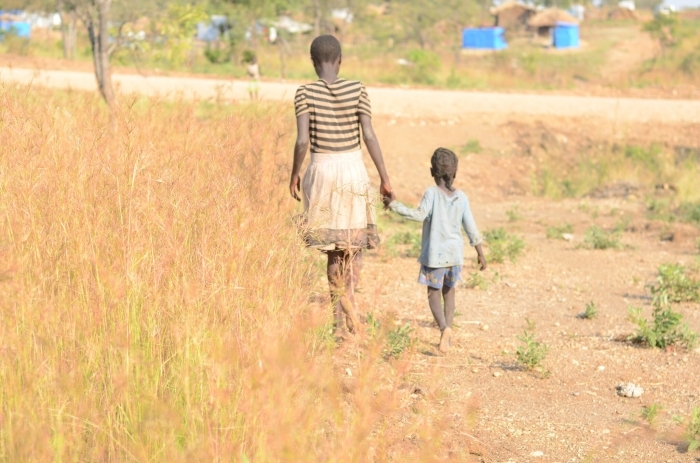 A recent report by World Vision titled ‘Girls on the Move’ has found that over 2.5 million girls in Eastern Africa have been forced to flee their homes due to conflict and natural disasters. Across the world estimates suggest 50 million children have migrated across borders or been forcibly displaced. World Vision has also warned that these girls are in urgent need of protection and are vulnerable to sexual violence, abuse and exploitation. The report urges the international community and decision makers to improve protection for children who have been displaced due to humanitarian crises, conflict and natural disasters. In the East Africa region it is estimated that 5 million children have been displaced due to confict, drought, famine and political unrest. Tina Berwa Ojuka, World Vision’s Technical Advisor on Child Protection and Participation, based in East Africa, noted: The World Vision report looked at the countries of Burundi, D.R. Congo, Ethopia, Kenya, Rwanda, Somalia, South Sudan, Sudan, Tanzania and Uganda. The report makes four key recommendations to prevent and end violence against children on the move: changing attitudes, norms and behaviours; systematically scaling up solutions that work; invest in comprehensive and conflict sensitive responses to violence against displaced children; and enhance efforts to prevent grave violations against children. The Sustainable Development Goals aim to end violence against children by 2030; the report is also encouraging individuals, as well as governments, to take a stand and create support systems that protect children.